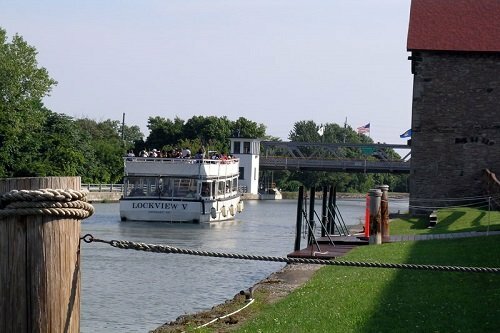 Take a cruise down the historic Erie Canal and through the Lockport Locks. Be mesmorized as you elevate 49ft to the top of the Niagara Escarpment with a Coast Guard Licensed captain. After your cruise enjoy a tasty buffet canal side that included a variety of foods from roast beef and turkey to salads and pasta. 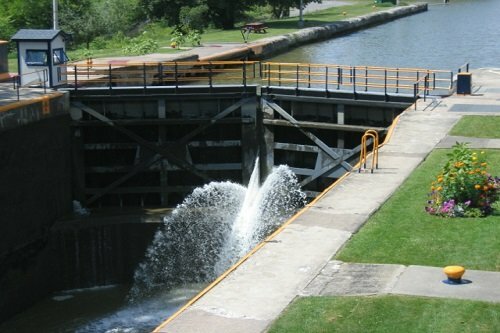 Take a cruise down the historic Erie Canal and through the Lockport Locks and Experience a unique 2-hour cruise which includes “locking through” and being raised the 49 ft. elevation of the Niagara Escarpment (the same one that creates Niagara Falls) in the only double set of locks on the Erie Canal. 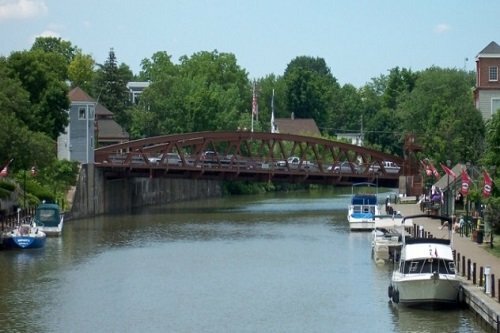 You will pass under bridges that raise straight up, see water cascade over Lockport’s famous “Flight of Five” 1840’s locks, and travel through the solid walls of the “rock cut” as your Coast Guard licensed captain describes the architecture, sights, and folklore along the way. Enjoy a delicious Buffet Luncheon Canal side after your boat cruise. Includes: Salad, mashed potatoes, Pasta Station, Roast Beef, Turkey, Corn Beef, gravy, apple sauce, cranberry sauce, hot buttered bread sticks, tea, coffee and dessert.